Tap into the power of improved productivity and increased efficiencies with our innovative software training and learning systems. Did you know that when you migrate your business operations to a new system, there’s only a 50% chance your employees will use it successfully without effective training? And when you need to replace an employee, it can take 30-50% of that employee’s annual salary just to replace them. That’s where RealPage Training comes in. With our EasyLMS® learning management system, product learning portal, free webinars and classroom training, we help you keep employees up-to-speed on all of your RealPage software solutions. With well-trained staff, you’ll see happier, more productive employees, and more cost-efficient results. Increase productivity, reduce turnover, and manage employee performance with our innovative Learning Management System called EasyLMS. On demand and ongoing, this portal takes you into the entire catalog of Realpage on demand courseware that supports RealPage products. Get the latest tips and tricks for RealPage Products. Attend a group training session, either in a live classroom environment or free webinar. Stay up to date with the “What’s New? The DFW Airport has one main road, International Parkway, which runs the length of the Airport, north to south. Terminal buildings, parking areas and the on-site hotel are accessible from this road. 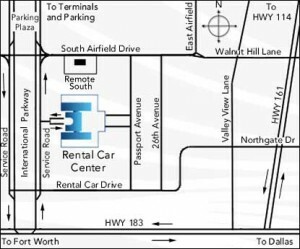 The Rental Car Center is located near the south entrance of DFW Airport. After collecting your baggage, follow the rental car signs to the designated pick-up area on the lower level of the terminal. From there, board the rental car shuttle bus which serves all rental car companies. It departs every 5 minutes. RealPage has developed preferred partnerships with the hotels listed below who we believe offer a great value and quality experience during your stay in Dallas. These hotels offer special, discounted rates to all of our clients and feature other individual amenities and incentives. When contacting these locations, be sure to mention that you are a RealPage client or associate to ensure that you receive the best possible rate.